Welcome to Akron’s finest entertainment company. We are a locally owned family operated company serving the Northeast Ohio area since 1933. We offer the absolute finest, most up-to-date equipment available along with providing a strong dedication to the success of our customers. Our State of the art entertainment solutions are specifically tailored to meet our customers’ individual needs. George Music Company provides the latest in digital internet jukeboxes, NGX Jukeboxes, Touch Tunes Jukeboxes, skill games and amusement machines to bars, taverns, pubs, restaurants, bowling alleys, universities, and social clubs. 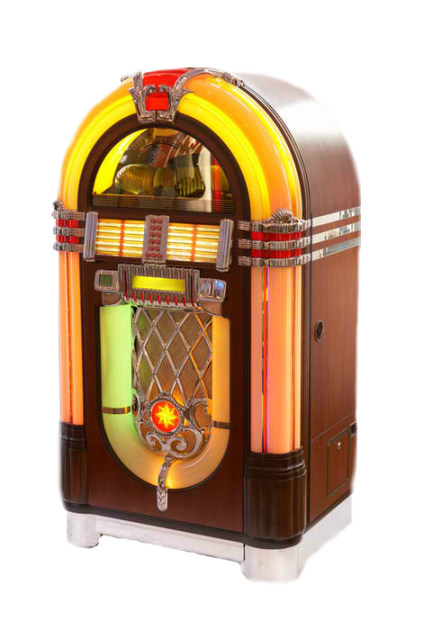 We install and service Internet Jukeboxes in Bars, Taverns, Fraternal Organizations, anywhere. Delivery and setup is also available (call for details). George Music Company only provides service on what we sell. We also sell used coin-operated machines for the home. As you can see, we are the premier amusement supplier in the Akron and surrounding area. To increase revenue and keep your customers entertained and satisfied, call George Music Company and find out how you can add excellent entertainment equipment to your establishment. Want to enhance the atmosphere of your tavern or bar? Make this your night out. 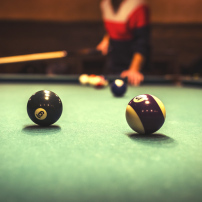 Get together with friends, family and co-workers and enjoy their company while playing pool or darts. Or join an existing team and make new friends. Games played: 3 games of 501 doubles, 2 games of 501 singles, 3 games of cricket doubles, 2 games of cricket singles, 1 game team of 701. Other games, if desired. 5-8 players per team. Create your own team by gathering your friends, family and co-workers! Join the tens of thousands who have already found the benefit of fun and excitement in playing on an APA team. The APA is the World’s Largest Pool League. 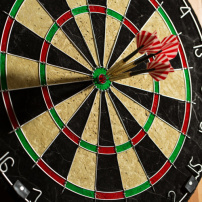 The Equalizer® Handicap System: Playing at a skill level keeps the fun in the game. All players, regardless of ability, can compete on a fun and fair playing field. Everyone Can Play…Anyone Can Win! The Largest Amateur Pool League in the world! We pay out nearly $1.5 millions annually in prize money at National Championships!